Field Testing Your Abilities. Does Your Training Work? 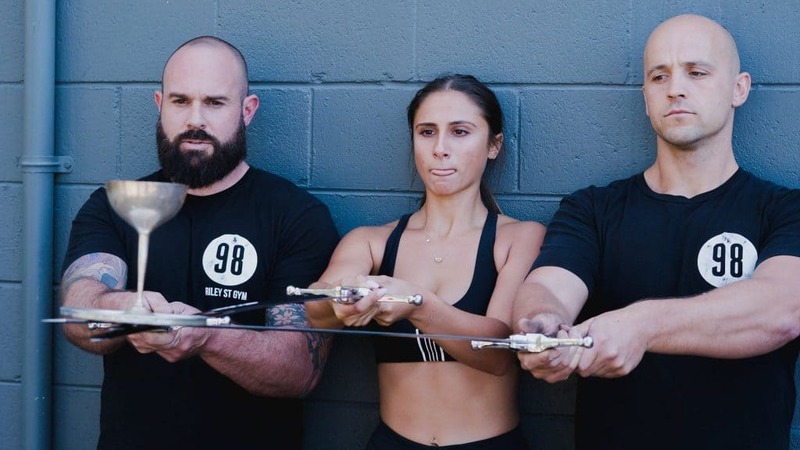 There is a difference between exercising and training, ones involves sitting on a bike or walking on a treadmill whilst reading a trash magazine to burn off the damage you did the night before, and the other is a targeted approach to improving weakness, enhancing strength and focused sessions for a end goal or goals. 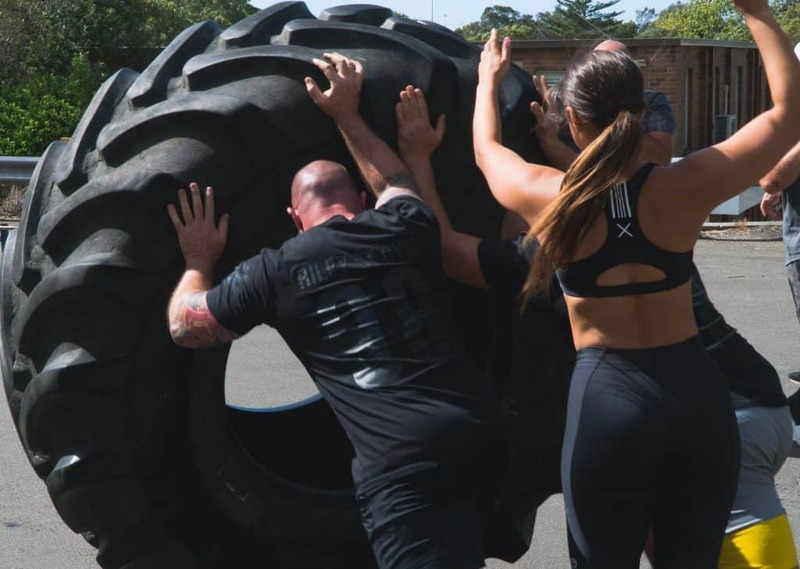 Last weekend Ozzie Mike, Daniele and myself thought we’d test our GPP in a mixed team Strongman comp. Now when you hear the words “Strongman comp” you automatically think of Eddie Hall, Hafthor and 9000 calories of cheesecake and pizza daily. However when you look closer what you’ll find is a rather unique set of movements and time domains that test your strength, endurance and recovery along with muscular coordination, along with…something that I had not thought of that much, a small amount of fear. Fear of the unknown, of “will I hurt myself” or “can I actually do this/have I prepared my body”. The best part about it all was the weight was set, and if you cant lift it, move it, shove it, carry it, hold it or hold on…well that’s instant feedback on you, your training and your weakness. Mentally as well as physically. Now I enjoyed this comp more than I thought I would, I found the idea I could really test how strong and able I was more than enough reward, along with working for someone other than myself, testing myself against others to see where I stand. Another big reason was to test my training, does it work, have I developed a strong base of strength, endurance and muscular coordination to adapt to a set of new tasks. All these movements where new to me apart from flipping a tire, however I have not done a tire flip at 450kg before. 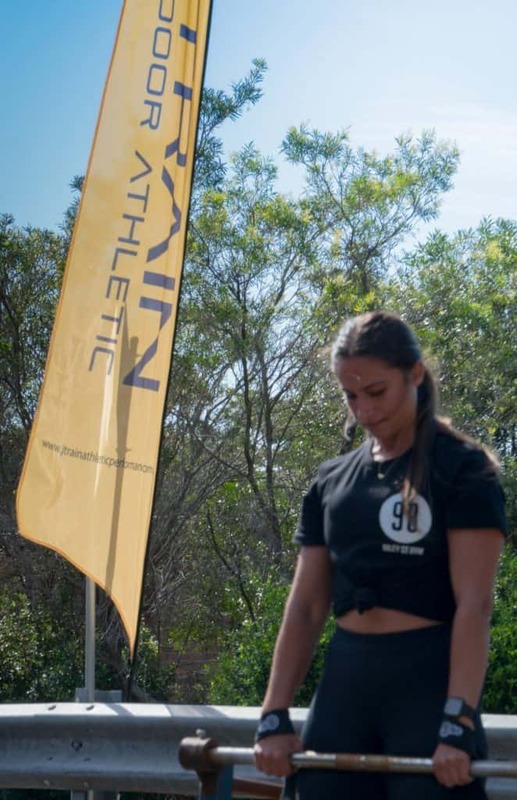 Not only did we need to be strong on the day we needed to be able to recover well and that stems from a good base of aerobic and anaerobic work. We needed to be conditioned enough to hit multiple reps of near maximal (and maximal) efforts numerous times in a row…recovery, refocus and do it all over again. 1. Climbing Deadlift (using the car deadlift frame, females started on designated weight, the frame was loaded by 10kg after each complete rep until the member fails, then the second person takes over, etc. 2. Carry Relay (famers carry, Keg carry, yoke carry) 3 mins for max rounds. 5. Iso hold – teams held a sword (yes a sword) at arms length in a front raise position with arm locked, resting on top of the swords is a chalice of beer. Hold the goblet of beer for as long as possible! As you can see it was a fun event but a real testing one, we had about 20 minutes rest between events. Its something we will all do again and best of all we came home with a second and a sword! The program we run here is simple and focused, we work on developing strength, strength endurance and power. We develop your engine, your aerobic and anaerobic system…we teach and develop skills, new and old. Test yourself and validate your training. Train with purpose.